Iris Murdoch, from The Sea, The Sea. A literary quote for a literary Friday treat. One of my favourite books, written some years ago, recommended to anyone who enjoys an autobiography, is Dorothea Tanning: Between lives, An Artist and Her World. 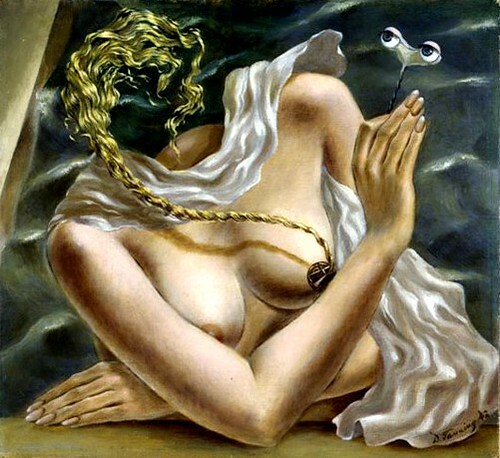 Dorothea Tanning was born in 1910 in the US and studied painting in Chicago. In the early 1940’s, in New York, she became friendly with some of the surrealist refugees from Nazi occupied France, including Max Ernst whom she married. They were together until his death 34 years later, initially in the US, later in France, where they worked, lived and loved through some of the most exciting decades of the century, producing memorable art and mixing with many of the most well known artists. Max Ernst died in 1976 and Dorothea Tanning returned to the US shortly thereafter, continuing to paint and, increasingly, write; a lot of her work was published including her two autobiographies, the second of which was Between Lives. Dorothea Tanning died, aged 101, at her home in New York in January 2012. 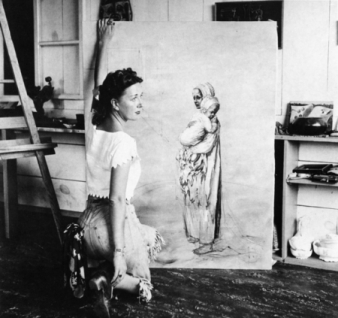 Beautiful imagery and a great, moving, read: Dorothea Tanning: Between lives, An Artist and Her World. A Kindle edition is available but this really is a book to be gifted, to hold and to savour, in its’ original hardback form. Find and order it – look for the expanded in 2001 edition – at Abe Books in the UK. A Christmas Treat for any lover of art and women.